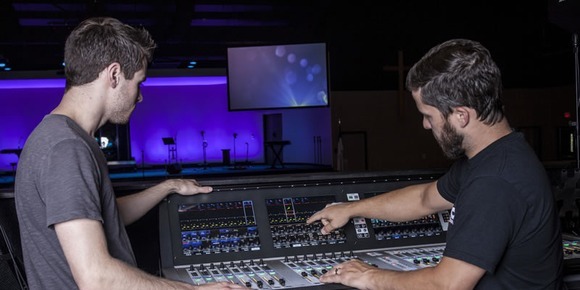 BEAUMONT, Texas, USA - Wesley United Methodist Church in Beaumont, Texas recently improved its audio capacity with the new HARMAN's Soundcraft Vi3000 digital console and Soundcraft Si Performer 3 digital console. 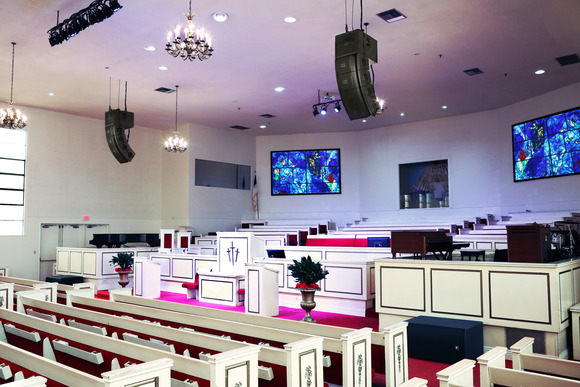 Installed by MSC Systems of Beaumont, the consoles are part of a sound reinforcement project aimed at providing better audio fidelity to the 100-year-old church, which provides contemporary services for up to 500 people. The newly launched Vi3000 features the new powerful SpiderCore DSP, plus extensive onboard options such as Dante and MADI interfaces. The expanded capabilities of the new 40-bit floating point DSP engine mixes FPGA and DSP technologies in a unique combination with a footprint small enough for it to be included within a control surface. 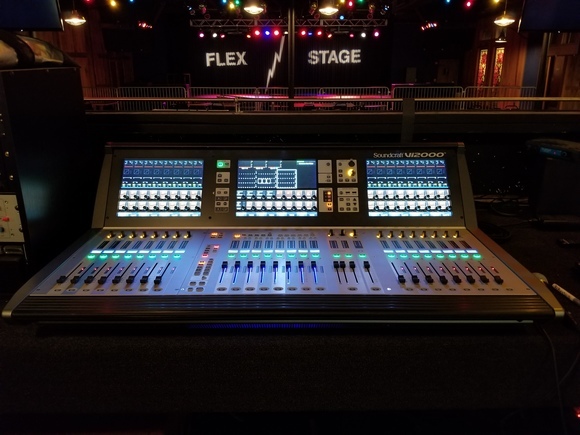 While adding the usual ease-of-use features that made Soundcraft consoles so desirable, such as the Vistonics™ user interface and FaderGlow™ functionality, this console takes any venue to new heights. "The capabilities of the Vi3000 are amazing, as it has plenty of ins and outs," said Chase Daigle, Lead Designer/Installer of MSC Systems. 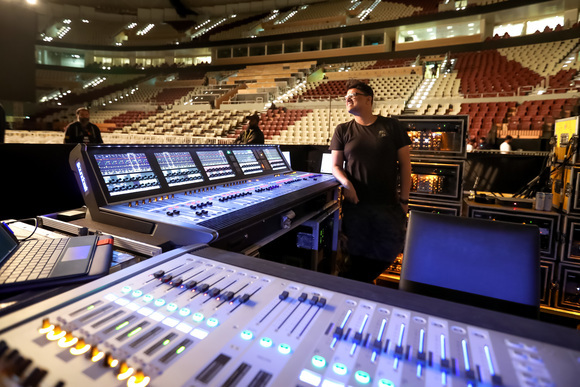 "The operators can now mix 12 stereo in-ear monitor mixes right on the console, and have 48 local inputs in addition to the 48x32 stage box run with fiber and 64x64 capability of Dante to the Si Performer. We can also configure presets for every channel, which means we can now recall settings for every single musician on different weeks, instead of resetting the whole board. Operation was so easy that the technical staff often involves the assistance of local volunteers, who despite lacking professional training were able to operate the Vi3000 and the Si Performer 3 after a few pointers." Nothing was compromised to provide the best audio solution for this house of worship, with the Vi3000 handling FOH and monitors on different sections of the same board, while the Si Performer 3 with an additional Dante card is used for recording in a separate room. Feeds from the Vi3000 are also routed through the Si Performer 3, so the church services can be streamed directly online. "The audio has been dramatically improved over our old system," said Garret Kyler, Worship and Technical Arts Director of Wesley United Methodist Church. "The new Vi3000 console does not sound thin and digital, but very warm and analog-like. It's also not like other consoles such as those made by Yamaha, where you go through layers of menus. The whole thing is incredibly responsive, because whatever you put in, you get back immediately." With a completely remodeled sound and lighting infrastructure, the church is set to handle another decade of contemporary performances. With the "spectacular and natural" Lexicon effects that Daigle applauds, the new Vi3000 will grant church members the sound they were looking for. Photo Caption: (Gray Shirt) Garret Kyler, Wesley United Methodist Church; and (Black Shirt) Chase Daigle, MSC Systems.